Each year termites cost homeowners, businesses, and individuals up to Thirty billion dollars in damage to crops and structures in the United States. Termites are colonizing insects that live all over the world. Some types of termites destroy homes in just a matter of months while others consume the home over the course of years. You can count on us to perform a thorough termite inspection. Phone us at (281) 353-4427 today! Our termite control technicians are professionally trained in the latest termite inspection and extermination techniques. We take our responsibility of protecting your family and property investment very seriously. A termite infestation begins with a reproductive pair selecting your home as a suitable place to live and mate. They are known to bore into wood or soil and begin mating. These devastating wood destroying organisms produce offspring quickly, and this offspring is trained to feed them. Termites are no joke, if you leave them unattended they will create thousands and thousands of dollars in damage to your structure producing workers that hunt for forage [food provisions] and build the tunnels, and soldiers, which defend the colony from attack. Termites feed on the cellulose of wood, which is a source of simple sugars. Each type of termite poses a different type of threat to a home, depending upon the type of wood it feeds upon or where it will generally congregate. The type of termite may determine the type of treatment initiated by our pest control professionals. 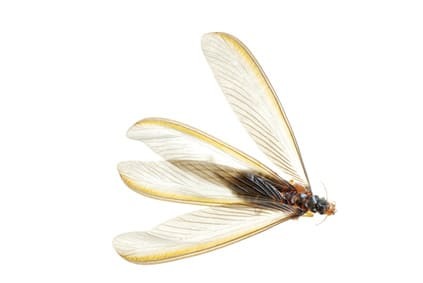 If you are a business owner in the Spring, Texas area and are interested in preventing termites, or treating termite damage in your business or home contact us today! Our termite control experts can treat for termites in residential and commercial settings. So whether you’re a home owner or a business owner in the Spring, TX area. Call Allied Exterminators today to schedule a termite inspection or discuss a prevention plan for your home. Contact us today at 281-353-4427 for all your termite and pest control needs! No Risk! No Hassle! No Pressure!